MEMPHIS, Tenn. – If you’ve had any concerns about our future generation, this article will give you some hope. 17-year-old Kevuntez King told FOX13 that he grew up in a single-parent home with his mother. Her influence helped pave the way to his success. “She just taught me how to be independent like she had it, (and) she just wanted me to go get it myself,” King told FOX13. So at the age of 12, when most kids were concerned with getting to the next level of their video game or sleeping in, King started selling newspapers. He kept the job for five years with one goal in mind: earn enough money to pay for his college education. “When it came down to school, my mom didn’t have to come out of pocket to do anything or I didn’t have to take out any loans to go to school,” King said. 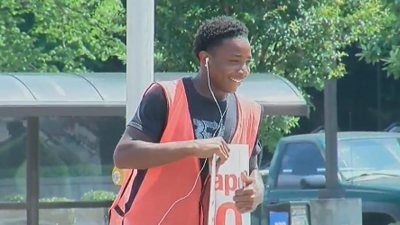 King earned about $200 every Sunday while selling papers at a downtown Memphis intersection. And after five years of hard work, he has reached his goal. He was accepted into Tennessee State University, and he has officially earned enough money to pay for his tuition in its entirety. This post was republished from whotv.com. You can find the original post here. Why are Christians Turning to Buddhism? THREE DAYS DIET TO CLEANSE YOUR BODY OF SUGAR! Nutella is Poisonous for you and your kids..
6 Management Lessons That Everyone Should Know..
3 Ways To Tell If Your Child Is An Indigo Child. Keanu Reeves New Message To The World.